While I was flying in the clouds, back to Australia in a vision I saw a waterfall of very white still water in front of deep thick darkness, which was reflected in the pool of water. 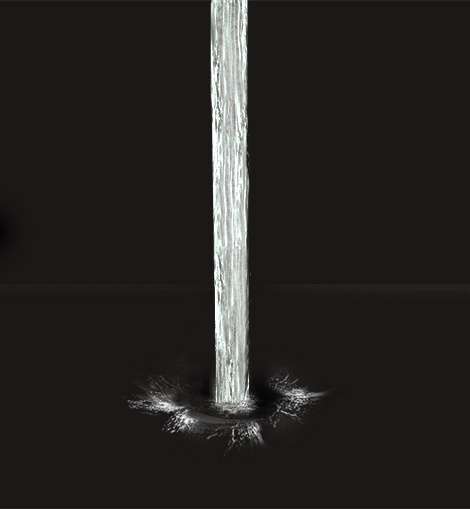 Only the waterfall, the splash of the waterfall and some white waves were white in the darkness of the pool. After the vision I checked out Psalm 18:19 and translated it from the Hebrew. There were waters in that secret place too: "He makes darkness His secret place. Round about Him His tabernacle, darkness of waters, thick clouds of the skies" (Psalm 18:11). I knew God clothed Himself in thick darkness. I didn't know there were dark waters there too. God was playing with me, showing me I was in Him and He was in me. 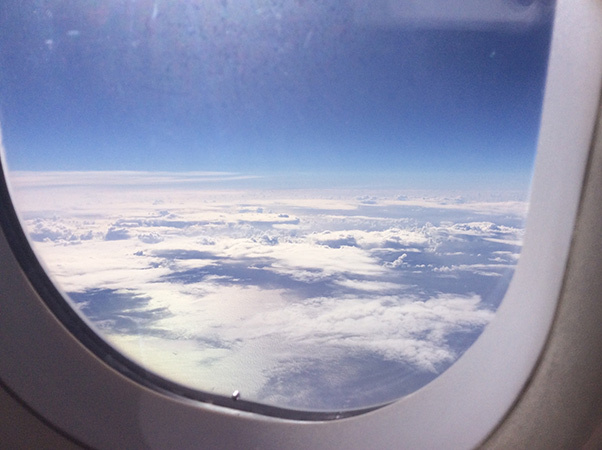 Being in the plane was like being in the Spirit (bird shape of plane, empowering me to move). Christ, the Word of life (waterfall) was flowing tinto me (My short name means a white wave and they were in a circle around the waterfall, thicker and more wave like, than I've represented them here). While the thick clouds of the skies that surround the father, were around me in the sky. I was in the Spirit, in the secret place of the Trinity. He gave me a vision of our intimate relationship. Intimacy is what God desires with everyone. 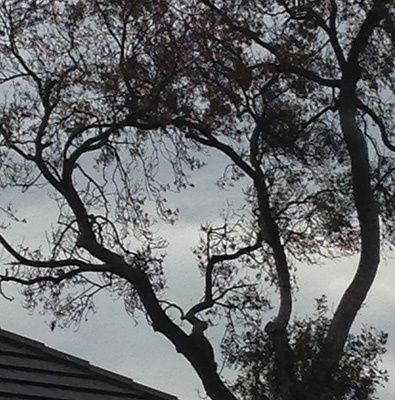 On Friday when I went for a walk I saw this tree and it looked like the branches were arms encircling. It was very moving, kind of electric atmosphere. A lady walked pat at that very moment and I pointed it out to her. The photo doesn’t capture what I sensed about it. 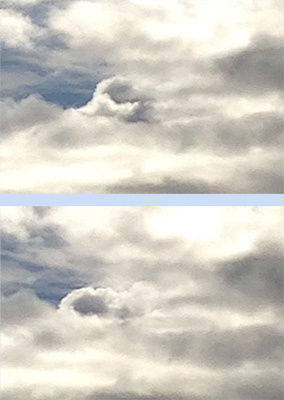 I also saw this encircling cloud and wondered what God was saying. It ended up in a circle. In church yesterday as we were praying “forgive us our sins,” the sun came streaming, like a bolt of light through the window onto me and suddenly I felt as though my arms were encircling the whole inside of the Anglican church as I said “our.” -including all the people there with me in the Lords prayer. I’d never noticed the “our” before. I’d always been thinking of my sins, when we said, "Forgive us our sins." It was as though I was lifting myself and everyone else together as one, in an appeal to God for forgiveness like Daniel did when he confessed the sins of his people. Forgive us our sins. The appeal held in it forgiveness for our sins towards each other.